A Metropolitan Opera National Counsel regional finalist and prize winner in the Licia Albanese Competition, Mr. Fennell’s professional debut came when he jumped in for Rodolfo LA BOHÈME at the Glimmerglass Opera Festival. This opportunity led him to The New York City Opera where he sang six seasons and 13 roles. Mr. Fennell’s operatic highlights include Rodolfo LA BOHÈME with New York City Opera, Glimmerglass Opera, Opera Saratoga, National Theater Mannheim, Edmonton Opera, Manitoba Opera; The Duke of Mantua RIGOLETTO for Deutsche Oper Berlin, The Prague National Theater, The Slovak National Theater, Theater Bremen; title-role WERTHER for Staatstheater Braunschweig and Opera Zuid (Netherlands); Alfredo LA TRAVIATA with New York City Opera and The Slovak National Theater; Tamino DIE ZAUBERFLÖTE for Sarasota Opera, Wichita Grand Opera, and Des Moines Metro Opera; title-role ROBERTO DEVEREUX for Dallas Opera; Roméo ROMÉO ET JULIETTE for Slovenian National Theater, Mecklenburgisches Staatstheater Schwerin, Toledo Opera, and Opera North (USA); Don José CARMEN for Arizona Opera, Theater Lübeck, Pacific Opera Victoria, and St. Margarethen Festspiele; Hoffmann LES CONTES D’HOFFMANN for Theater Pforzheim, Theater Krefeld, Theater Augsburg, and Hawaii Opera Theater; Riccardo UN BALLO IN MASCHERA for Theater Pforzheim; title-role DON CARLO for Lithuanian National Opera; Camille DIE LUSTIGE WITWE for Deutsche Oper am Rhein; Pinkerton MADAMA BUTTERFLY for Utah Opera, Austin Lyric Opera, and Opera Saratoga; Roberto LE VILLI for Latvian National Opera; The Prince in John Adams’ A FLOWERING TREE for Göteborgs Operan (Sweden); title-role DORIAN GRAY (World Premiere) for Slovak National Theater; Edgardo LUCIA DI LAMMERMOOR for Des Moines Metro Opera; Rinuccio GIANNI SCHICCHI for the Macau International Music Festival (China); Des Grieux MANON for The Maria Biesu International Opera Festival (Moldova); and Gerald LAKMÉ for Sarasota Opera and Teatro Principal de Palma de Mallorca. Mr. Fennell has also appeared with San Francisco Opera, Boston Lyric Opera, Seattle Opera, Washington Concert Opera, Tulsa Opera, Chautauqua Opera, Central City Opera, Deutsches National Theater Weimar, Salzburg Landestheater, Festival de Opera de Tenerife, Arena di Verona, Teatro Petruzzelli di Bari, and the Spoleto Festival USA. 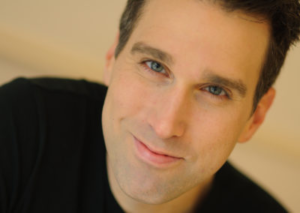 A distinguished concert performer, Eric Fennell has performed the tenor solos in Beethoven’s 9th Symphony for National Chorale at Avery Fisher Hall, Tokyo City Orchestra (Japan), Cairo Symphony, Buffalo Philharmonic Symphony, Virginia Symphony, and Allentown Symphony; Verdi’s Requiem for The Latvian National Symphony, The Paul Hill Chorale in Washington, D.C. and in recording with the Smith College Orchestra; Beethoven’s Missa Solemnis for Konzertchor Darmstadt; Händel’s Messiah for National Chorale at Avery Fisher Hall, Virginia Symphony, Allentown Symphony, and Tucson Symphony; Rossini’s Stabat Mater for Brandenburg Philharmonic; Mozart’s Requiem for Arena di Verona, The New Haven Symphony, and National Chorale at Avery Fisher Hall; Puccini’s Messa di Gloria with the Eugene Concert Choir; and William Maselli’s JFK Requiem at Carnegie Hall. The 2016-2017 season began with Il Duca RIGOLETTO for the State Opera of Prague (September 2016) a tour of Rodolfo LA BOHÈME in France and Spain (October-November 2016), followed by returns to Vilnius for DON CARLOS (December 2016) and Riga for LE VILLI (January 2017). Mr. Fennell made his debut in the title-role WERTHER for Staatstheater Braunschweig (January-February 2017), followed by Pinkerton MADAMA BUTTERFLY for Chattanooga Opera (March 2017). Mr. Fennell then sang Hoffmann LES CONTES D’HOFFMANN for Hawaii Opera Theater (April 2017), followed by a return to Riga for LE VILLI, Vilnius for DON CARLO, and Bremen for RIGOLETTO (May 2017). His season culminated with his debut in the title-role FAUST for Wroclaw Opera (June 2017). In 2017-2018, Mr. Fennell reprised WERTHER for Opera Zuid (Netherlands October-December 2017), followed by Roméo ROMÉO ET JULIETTE for Greek National Opera (February 2018). He reprised Don Carlos in Günter Krämer’s production of DON CARLOS for Lithuanian National Opera (March 2018) which he created in 2016. Mr. Fennell returned to the USA to sing Don José CARMEN for Opera in Williamsburg (April 2018) and made his French debut again singing Don José CARMEN for Opera en Plein Air in Paris (June-September 2018). Upcoming, Mr. Fennell sings Tamino DIE ZAUBERFLÖTE in Spain, Don José CARMEN for Opera Na Zamku in Szczecin, Poland, Roméo ROMÉO ET JULIETTE in Aachen, followed by his debuts at Teatro San Carlo in Napoli singing the title-role in LES CONTES D’HOFFMANN and at Teatro Colon in Argentina singing Mitch A STREETCAR NAMED DESIRE. Originally from Allentown, Pennsylvania, Eric Fennell now lives in Berlin, Germany. He received a BA in Music from Gettysburg College and a Masters in Voice and Artist Diploma from Boston University where he was a member of the Opera Institute.